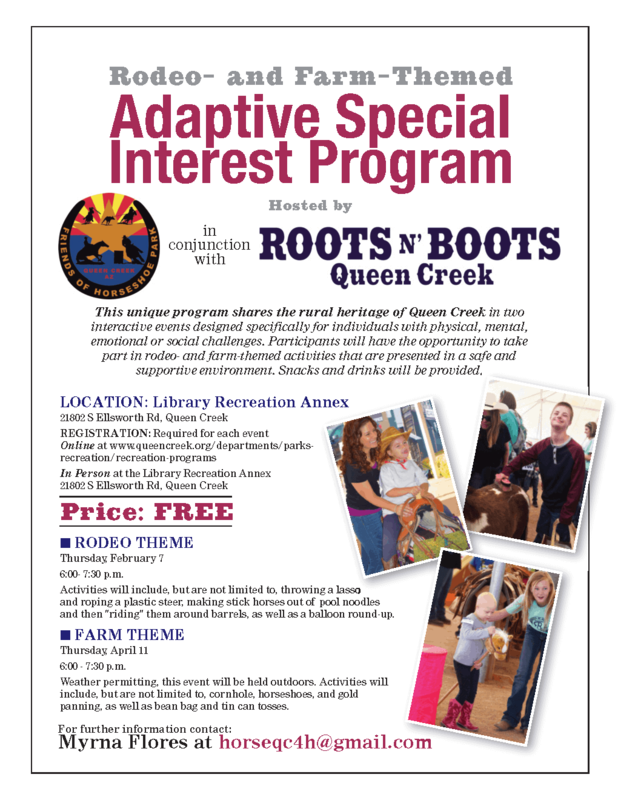 Friends of Horseshoe Park dba Roots N ‘ Boots Queen Creek, in conjunction with the Town of Queen Creek Parks and Recreation department, is hosting a free Adaptive Special Interest program focusing on rodeo and farming themes. See the flyer below for more details, or download the pdf here (9790_FLYER_SPECIALNEEDS1). 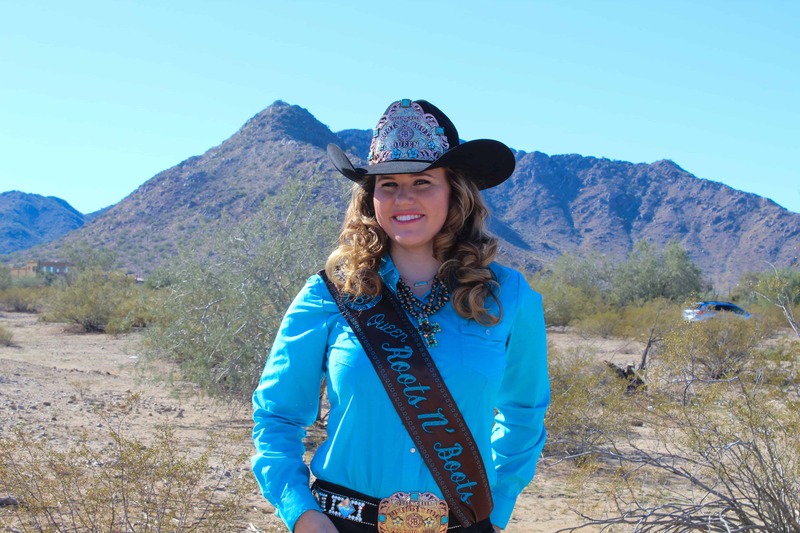 This program is one of many projects performed by Friends of Horseshoe Park under their charter of supporting Horseshoe Park and fostering the rural heritage of Queen Creek.